Hotel Jp Palace is a nice accommodation for the guests visiting Chandigarh. The rooms are painted with warm and bright colours adding a charm to the decor of the room. 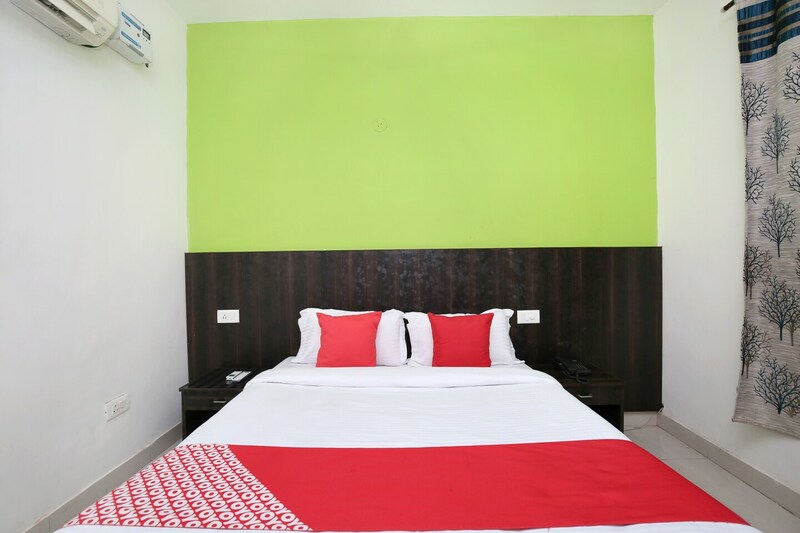 The various basic amenities in the room ensure a pleasant and relaxing stay of the guests. There is also a seating area where guests can relax and unwind. CCTV cameras ensure the security of the guests. Guests are also entitled to use free Wi-Fi facility to stay connected with social media or to catch up with pending work. The hotel is surrounded by many restaurants where guests can enjoy delicious treats.